The experts at Yoplait are committed to helping you and your bones. They wanted to find an easy and tasty way to do this. 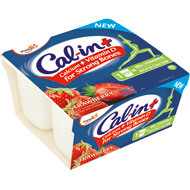 That's how they came up with Cal-in+ yogurt! 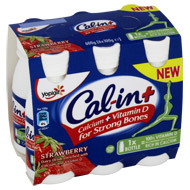 Cal-in+ brings 100% of the Vitamin D daily needs (*), along with being rich in calcium - all in one pot! And it tastes great! Eating dairy products will help you get Calcium. But did you know that Calcium and Vitamin D are needed for strong bones? That's because Vitamin D helps the body adsorb and use calcium. 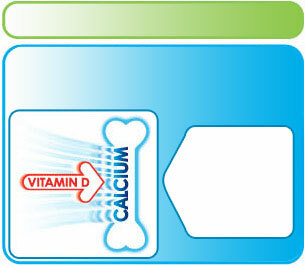 "Calcium is needed for the maintenance of normal bones"
"Vitamin D contributes to normal absorption/ utilisation of calcium"
"Vitamin D contributes to the maintenance of normal bones"
"Protein contributes to the maintenance of normal bones"
Cal-in + is formulated especially for adults, so it contains lots of calcium to meet the recommended daily allowance (*). 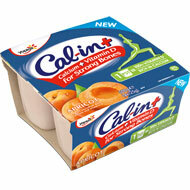 It is not intended for children under the age of 10 as they have a lower reference nutrient intake for calcium. * For children under 10 why not try Petits Filous or Frubes Fromage Frais? They both contain calcium & vitamin D and are better suited to their calcium needs. Click here to find out more! *The EU RDA Nutrient Reference Values (NRV) for calcium for adults is 800mg and the UK RNI is 700mg per day. 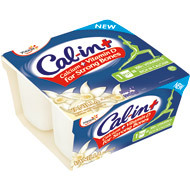 For children under 10 the UK RNI for calcium is 350-550mg/day depending on the age of the child.